In 2017, Brizo launched the nature-inspired Vettis Bath Collection and now they’ve just unveiled a new, limited edition version of it in concrete. The single-handle Vettis Concrete Faucet is the first of its kind and its innovative design was years in the making. The design is the work of Canadian expert sculptor, Christopher Shannon, who painstakingly crafted the faucet in his Victoria, British Columbia studio. 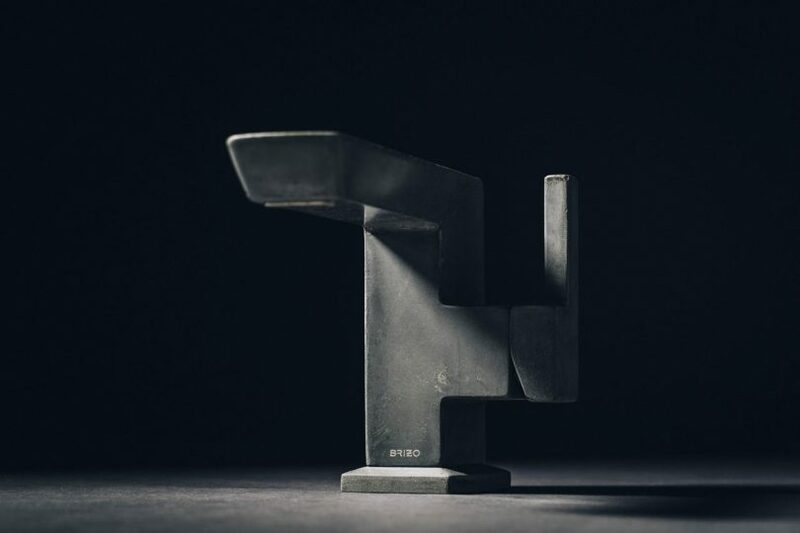 While being released in a new raw material, the concrete faucet still maintains the original design’s geometric form. The nature of the hand-poured material results in a textural finish and color that will add a lovely sculptural element to any bathroom sink. Only 500 of the Vettis Concrete Faucets are being released so if you’re interested reserve the $2500 faucet soon right here.